my final vacation post! seems like forever ago now, that Brando and I embarked on our cross-continent heatwave. it also seems like that's all I've been talking about here for a while! not to worry, there won't be another vacation for a long while... sad face. we were planning on going to Greece but our budget is kind of non-existent anymore. 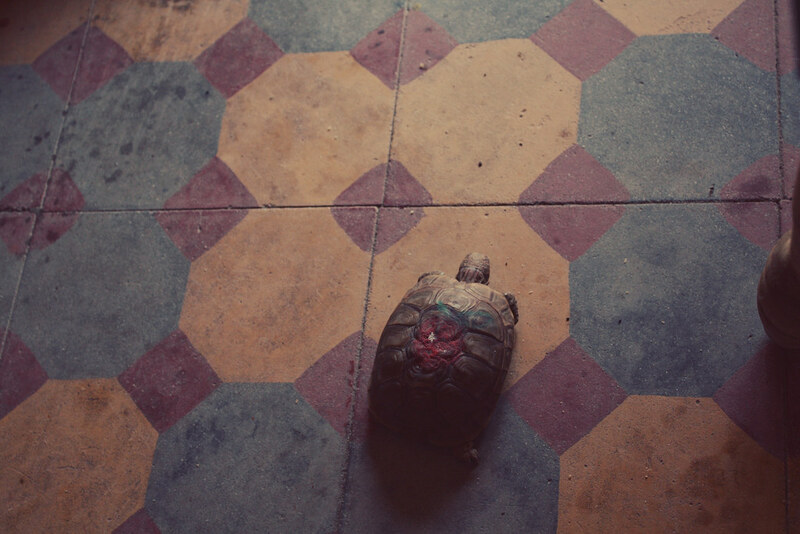 magic carpets (?) in the souks // Marrakesh is famous for its orange juice! the market is filled with juice stalls // Moroccan oranges // snake charmers...certainly not people charmers, and the prices they charge for a photo. Marrakesh is by far the most unique city I've ever been to. our perfectly pleasant, non-english speaking cab driver picked us up at the airport after I was finally able to recall the name of our hostel (oops. and I'm usually so organized with these things.). the drive through the city was crazy in itself; anyone who thinks their city has nutty drivers should experience zig-zagging through streets barely big enough for a car, surrounded by entire families crammed on motor bikes. we were greeted at the Riad Marrakesh Rouge by Ali, one of the staff. the hostel was colourful and clean and served amazing free breakfast, but the staff by far takes the cake. they were amazing, so friendly and helpful. they give you maps, make suggestions of what to see and where to eat, make sure you don't get ripped off at the markets, and arrange desert outings for you! I cannot say enough good things about this hostel. if you ever go to Marrakesh, you HAVE to stay there. it's as good as any hotel. and it's right in the heart of the medina (old city) next to the big square, which is exactly where you want to be. everything is in walking distance. the palaces were definitely a highlight of the trip, and they're only a short walk from the big square. 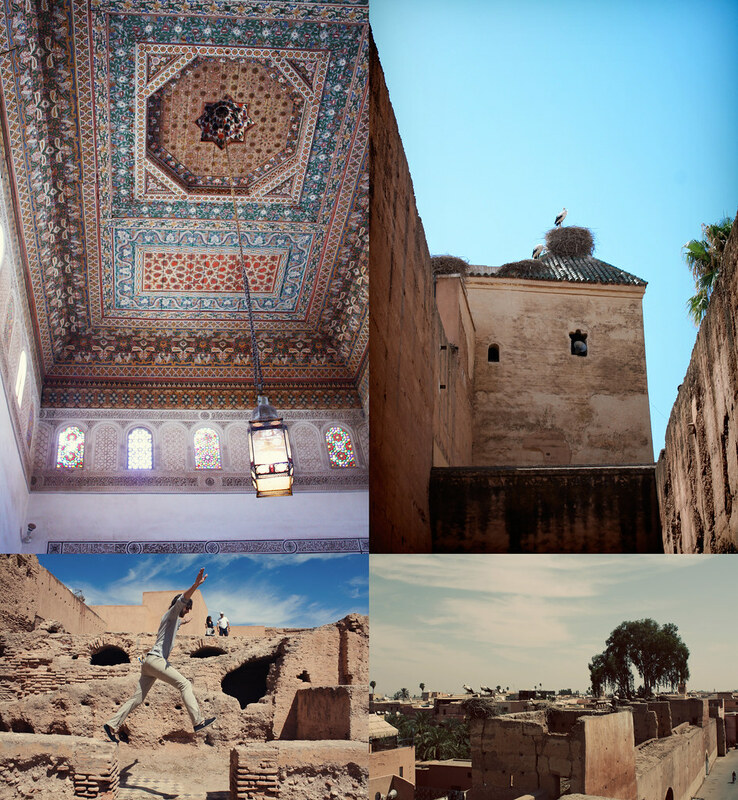 there were a lot of great times in Marrakesh, but I think Badi Palace, the one with the storks, was my favourite. it was so fascinating, and peaceful. the nice thing about the city is that there are plenty of tourists, but nothing is overcrowded. well, the souks and the markets are, but not with tourists! 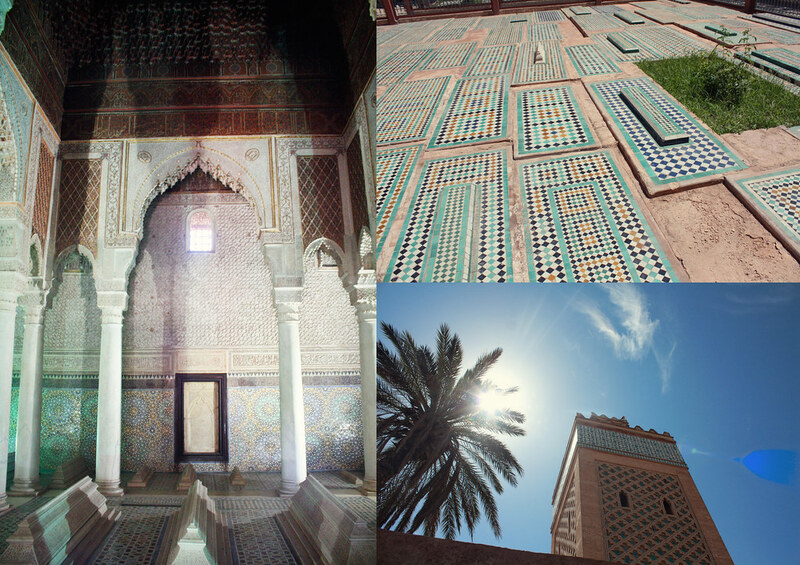 we also went to the Saadian tombs, which is pretty self-explanatory; tombs of the Saadian royals. very small, but very pretty. 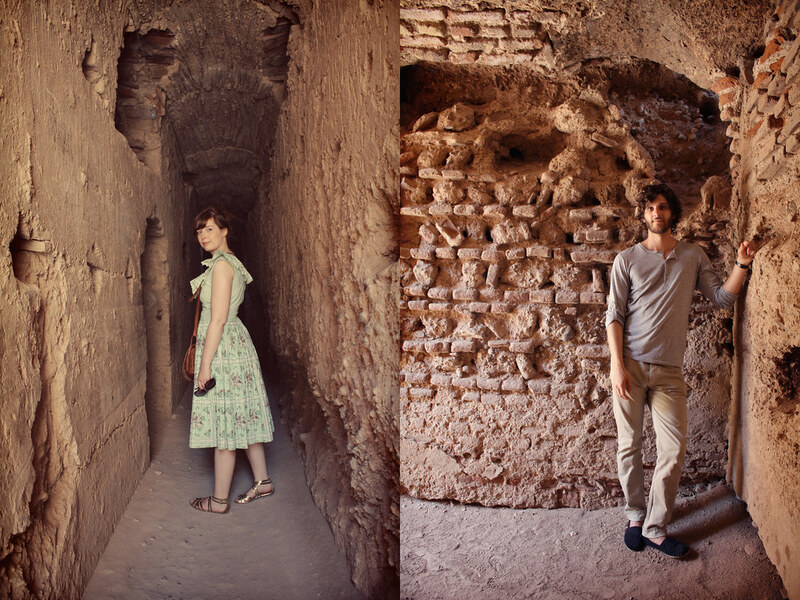 both palaces and the tombs only cost 10 dirham each to visit- which equals about $1.25. totally worth it for the pictures alone! the thing about Morocco is everything is so cheap when converted. you can get an amazing meal for $5 just about anywhere. and the food is delicious! we didn't try anything overly adventurous- although I believe at one point I ate a pigeon pie- but everything was extremely flavourful and filling. tajine was definitely my favourite; it's an amazing Moroccan stew. I'm partial to the lamb one, but you can get chicken or just vegetable. you can buy traditional tajine spice at any of the markets- some people may even try to sell you some through their living room windows as you walk by. Morocco is known for it's rich array of spices, and they're very cheap compared to prices in North America and Europe. you can scoop up saffron for a fraction of the cost! 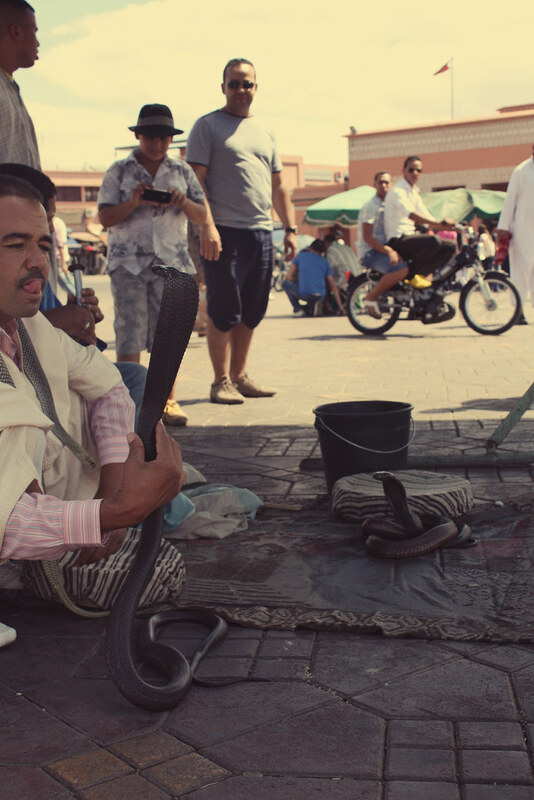 the markets and souks in the medina are an experience on their own. I could have spent every day wandering around just looking at all the beautiful things. you almost need to bring an extra suitcase for all the things you'll want to buy! you can outfit a gorgeous home for mere dollars; there are rugs bigger than our apartment hanging on shop walls, exquisite glass lanterns in all sizes, and beautiful hand-crafted furniture. 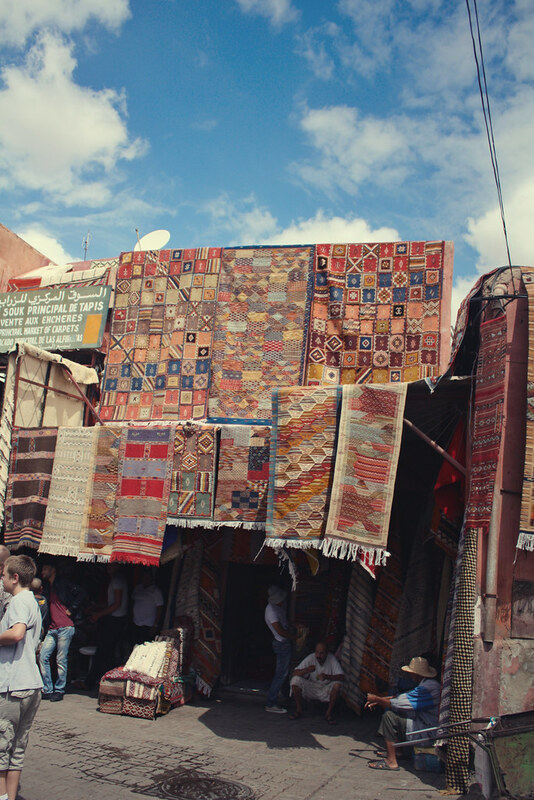 shopping in Marrakesh is a mental and physical workout. 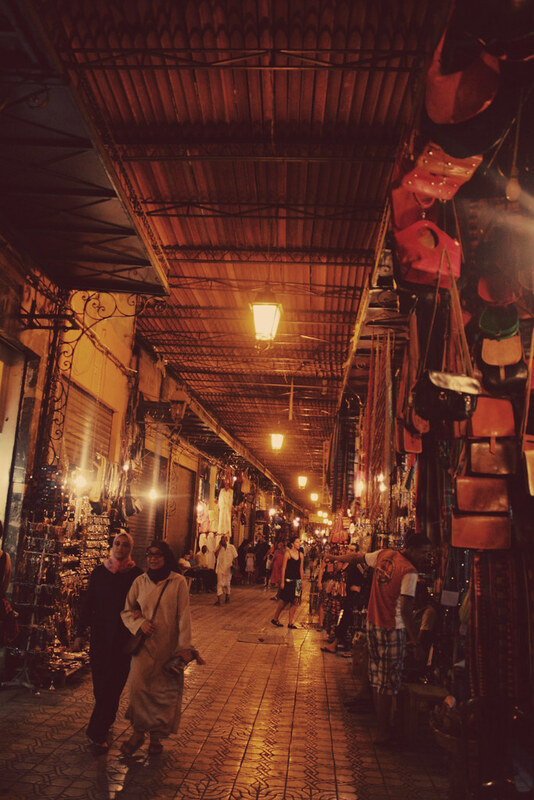 you have to play a game of cat-and-mouse meshed with a battle of wits just to haggle with the shop keepers, and pushing through the crowds and inevitably getting lost in the souks can be gruelling (and yes- you will get lost. don't worry, locals can spot lost tourists from a mile away and will happily point you in the right direction.) but shopping is totally worth it. 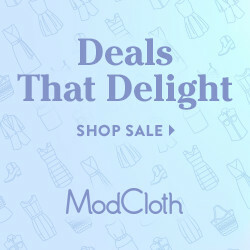 you can snag tons of amazing, hand-crafted, original stuff for cheap. most common and popular shop items include lanterns, carpets (not guaranteed to be magic), spices (which are displayed in large colourful pyramids), lamps (yes, as in "genie of the"), tea sets, jewellery, and leather. oh. so much. leather. I wanted a bag from every corner. and one girl we met at the hostel snagged some super-cool embroidered leather boots! I was so jealous. some shopping tips; start haggling at less than half the price the shop keeper originally asks. for example, if a guy wants 300 dirham for a pashmina, tell him you'll give him 100. they will tell you you're crazy and try to make you believe you are being unreasonable, but you are not. locals pay a lot less than tourists for the same goods. if the shop keeper won't haggle, give your final price then walk away. usually they'll chase you and give you that price. if not, you'll probably find something almost exactly the same around the corner. that said, if you fall in love with an item but are tempted to "shop around" first, don't risk it. you'll probably never find the same shop twice. or you'll spend all day trying to get back to it and it will make you sweaty and cranky. 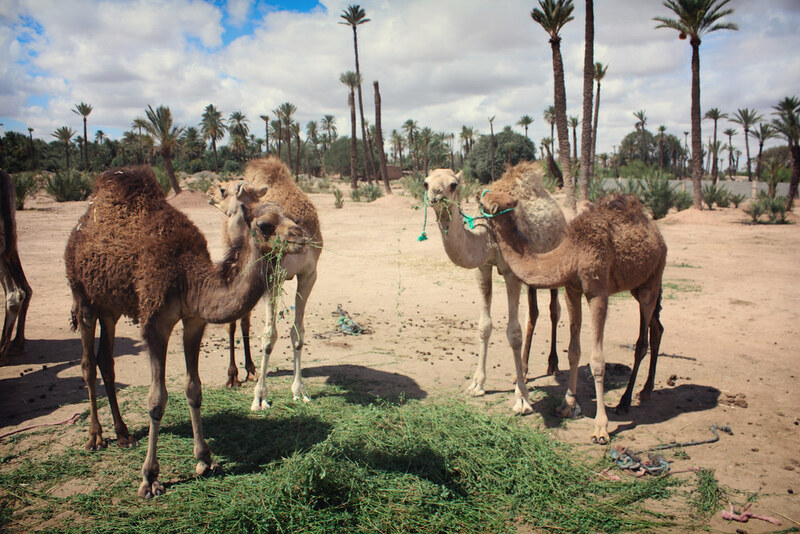 more photos of the camels in the desert! I should also mention that our visit fell at the end of Ramadan, the Islamic month of fasting. we didn't realize this when we arrived, so it was an interesting surprise. everyone was fasting all day, so no one ate or drank or smoked (big deal in Morocco) till the sun went down. it didn't affect tourists much overall. but things were a lot less hectic when we first got there- everyone was tired and hungry I assume!- and then in the middle of the week there was a big party in the square, and after that the locals were out in full force! it was actually kind of fun. one of the lovely workers at the hostel was so excited to have his end-of-Ramadan meal that he caught me and Brandon as we were leaving our room and insisted we share it with him. it was so nice! he was so genuinely happy to share with us. prayer times at the mosques are apparently incredible to witness as well. I say apparently because we kept missing it, but we always heard the call to prayer when we were hanging out on the roof top. if you're out and about during the call to prayer you get to see everyone drop what they are doing and run to the nearest mosque immediately. it's a mad rush. 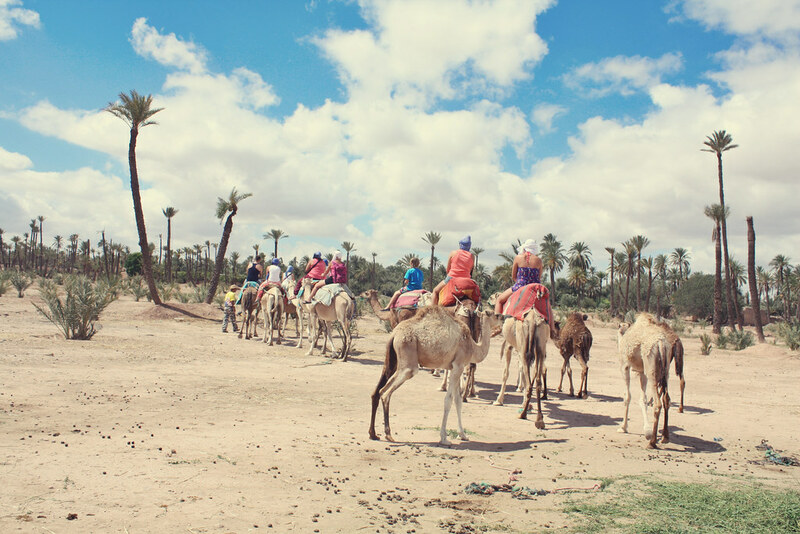 there are so many things to do in Marrakesh, and we missed out on a couple goodies. there are the Majorelle gardens, which were funded or restored by Yves St. Laurent. we didn't go in because compared to the other attractions, it was pretty pricey. then there's the famous grand hotel where Winston Churchill often stayed, and celebrities like Brad Pitt frequently visit. there's the tanneries, where the leather is "made," and the many mosques and tombs and gardens around the city. 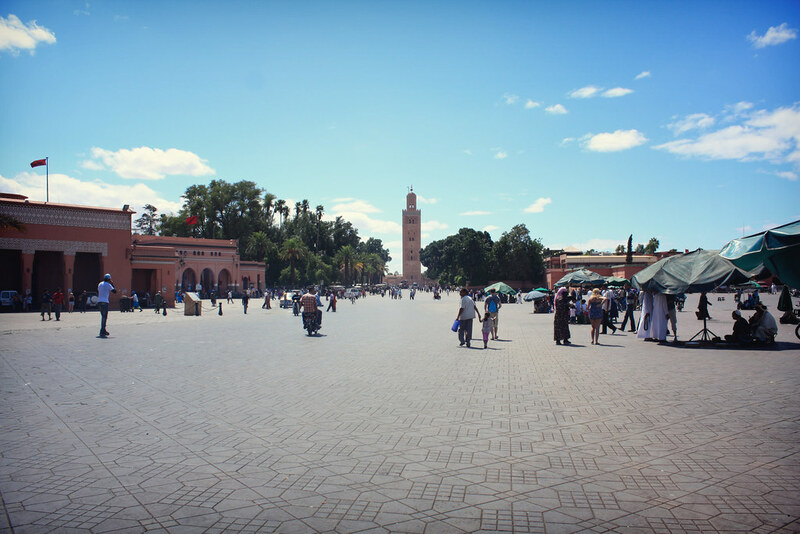 don't believe the guidebook when it says you will only need three or four days in Marrakesh- you can easily fill a week or more, especially if it's debilitatingly hot in the afternoons! there's just so much I want to say about Marrakesh, but there's no way I could cover it all and do it justice. it's such an experience. it's frantic and chaotic and beautiful and lively and inexpensive. the people are funny and friendly, and the architecture is stunning. I want to blurt out random advice, like avoid the monkey trainers because they throw the monkeys on you and make you pay WAY too much. same with the snake charmers. and always take peppermint tea when it's offered to you. which it will be. a lot. and if people offer to lead you somewhere as a "guide," if they say it's free, it's not. there's just so much to tell you! but you'll just have to go. one of the best parts was meeting all those friendly faces at our hostel! 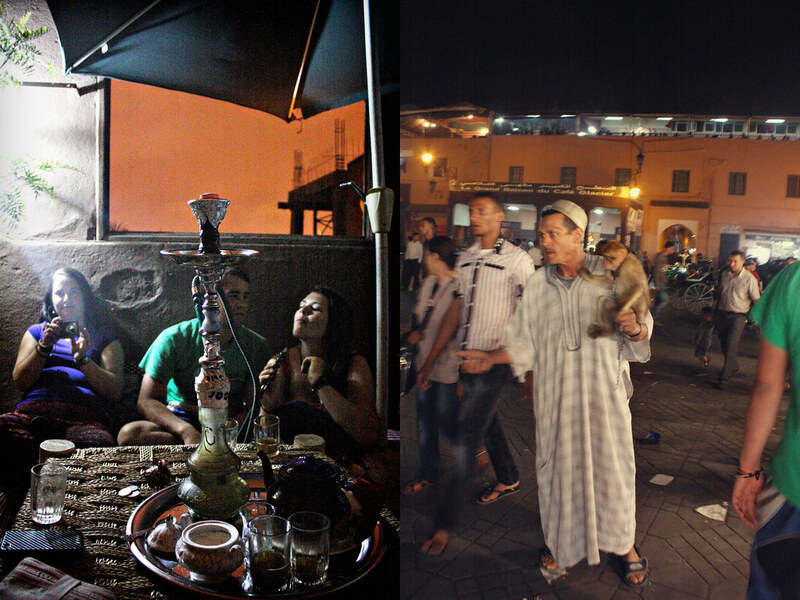 there was such a communal vibe, and everybody just hung out together at night, talking and smoking hookah (the fruit kind...). 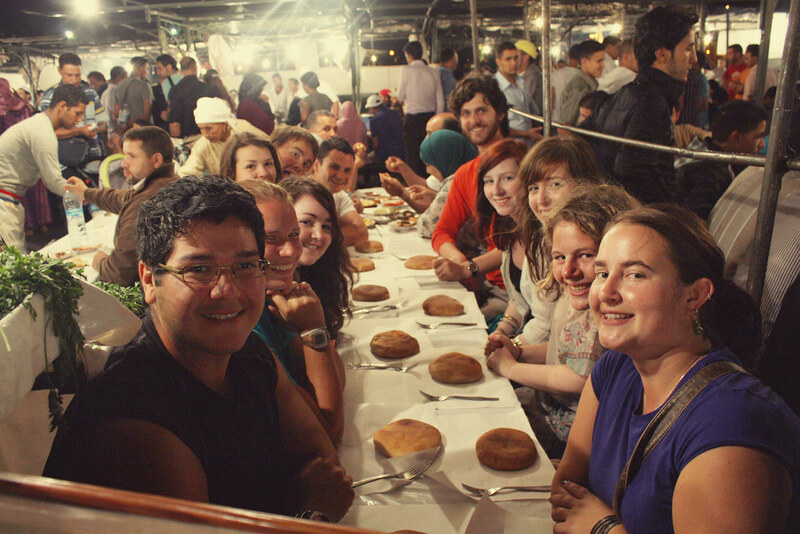 on mine and Brandon's last night there almost all of us at the hostel went out to dinner together in the night market. funnily enough, we were all from parts of the commonwealth! it was the little joke of the evening. definitely a trip I will never forget, and I would definitely go again. soon. Ah! This trip was amazing. Let's go back. I'll become a snake charmer, ad you can be a henna girl. You guys are awesome, glad you had a good trip! 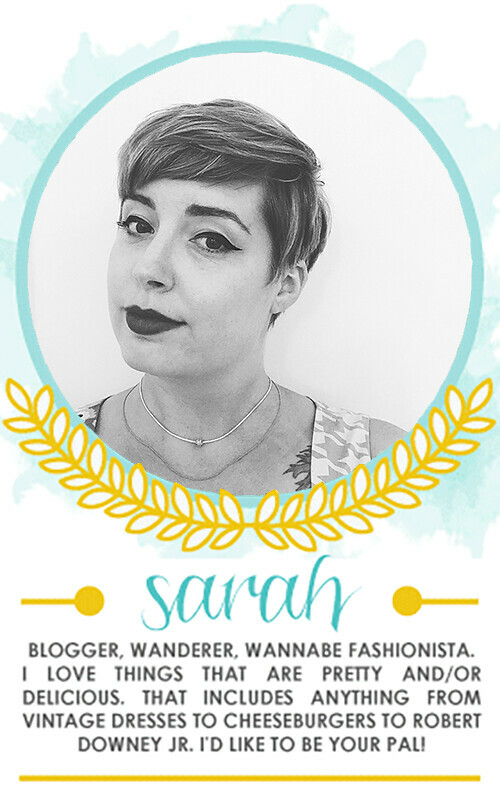 Also, I'm loving your layout Sarah. Did you create it yourself or download a template or get someone to make it or what? 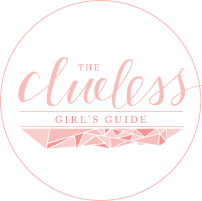 I'm clueless about website design! thanks Laura! 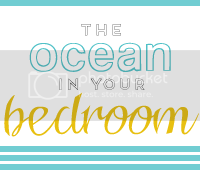 I use the "picture window" template on blogger, then customized it with stuff I just googled how to do! www.songbirdisnesting.com has great tutorials, that's where I learned how to make my header and navigation bar. kevinandamanda.com has tutorials too, that's how I changed my title font. other than that I just kind of fool around with everything! Such beautiful photos! As always, thank you for sharing!! Now get your butts to Greece! !